If you’re looking for the best Phoenix Residential Demolition, look no further than the experts at Phoenix Demolition. As a full-service demolition contractor since 2001, we have successfully completed numerous residential demolitions. We understand every aspect of residential demolition for projects of any size, from a single dwelling to multi-unit housing. Our highly-skilled Phoenix Residential Demolition professionals will guide you through the process, ensuring that all of your questions are answered. What Types of Residential Demolition Are There? There are many different kinds of residential demolition, and they don’t all fall under traditional whole home demolition. Partial residential demolition is often used in improving or renovating a home. A Phoenix Residential Demolition project can include removal of a wall or structure for bedroom, bathroom or kitchen renovation. This partial demolition can also include removal of garages or unsightly/unused outbuildings. 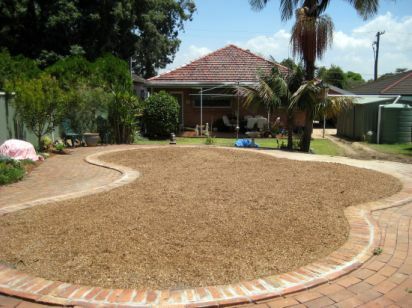 Phoenix Demolition can even handle the removal of driveways and swimming pools. Of course, Phoenix Demolition is also the best Phoenix Residential Demolition Firm for professional total-building demolition. Whether you’re a homeowner, real estate investor, business or government entity, it’s important to understand when you should call a Phoenix residential demolition contractor – and when you may have other options. The majority of our residential demolition projects occur because a home is no longer habitable, and repairs are either not cost effective or simply not possible. One common example of this is severe and pervasive mold growth problems, which can be toxic to residents and workers in a building. Not only are mold remediation costs prohibitive, they are often a short-term fix since mold growth is often a symptom of faulty pipes, leaky roofs and other structural issues. House fires, severe storm damage and extensive flooding are also reasons that some people choose to either partially or totally demolish a building. In some instances, a Phoenix residential demolition contractor must demolish these homes to avoid costly citations to the homeowner or business from government organizations. At Phoenix Demolition, we understand that the Phoenix residential demolition process can be challenging to navigate. That’s why, as a Phoenix Residential Demolition Contractor, we guide our clients through the process and explain each step of the residential demolition. While every demolition will be different, there are a few basic steps that you can expect to remain the same in most areas and situations. Once you have decided to have your building demolished, it’s important to find the right Phoenix residential demolition expert for the job. Like Phoenix Demolition, the contractor you choose should always be licensed, bonded and insured to protect your assets and peace of mind. An customized estimate is the next step; it’s usually good to get two or three estimates for comparison, and to ensure you’re getting the right combination of quality and value for your demolition. The price for a demolition can vary widely, typically ranging anywhere from $4.00 to $15.00 per square foot. Be sure to ask for detailed, written estimates that you can take with you and look over at a later date. Your Phoenix Residential Demolition Expert from Phoenix Demolition will give you a detailed explanation of your estimate, and any factors that influence that cost. Preparing for the demolition is your next step, and Phoenix Demolition is happy to help coordinate and advise you in these areas. Depending upon local government requirements, you may need to have a permit in place before demolition begins. Some contractors pull and pay for the permits for you, while others don’t, so be sure to clarify this with each Phoenix residential demolition contractor you get an estimate from. In most areas, you will also need to have a building inspection conducted to check for hazardous materials. This ensures that toxins like asbestos and lead aren’t released. If any dangerous materials are found, remediation can help to resolve those problems before demolition gets under way. Many firms that conduct Phoenix residential demolition either do this work, or can subcontract with a local environmental specialist. Salvage is the last step before demolition is carried out. Your contractor can help you remove any valuable materials in the building, such as marble, wood or glass. They can also help you determine what materials are recyclable. Then, you have the option of donating any or all of these materials. Often, you can sell these salvaged materials to help offset the cost of the Phoenix residential demolition. Lastly, the actual demolition is carried out. Phoenix Demolition professional crew will demolish the building according to your preferences, and within the time frame discussed. Afterwards, the site will be cleaned up and presented to you ready for whatever future use you choose.